The Aesthetics of Composition in Abstract Painting: Artwork of the month: Ruth Duckworth. Artwork of the month: Ruth Duckworth. Ruth Duckworth is one of several women that I admire for their lives accomplishments. 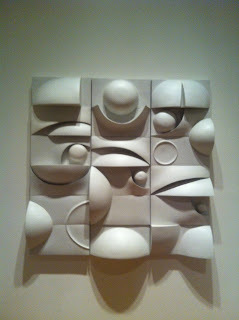 This work is on display at the Minneapolis Institute of Arts. I have spent countless hours looking at this painting, investigating its simplicity and complications.